One of the last hand-built Aston Martins number 45 of 101 to be made; this outstanding example is everything you would expect from the ‘quintessentially British’ motoring legend that is Aston Martin. It’s the sheer presence of these formidable cars that first holds your attention. In classic Georgian Silver it really is stunning and a joy to behold from every angle. Few cars, even to this day, command quite the same level of awe and respect that is afforded to this masterpiece of automotive design. Then you have the interior; step inside and you are surrounded by hand-crafted opulence. Sumptuous Connolly Leather in Black, contrasting beautifully the traditional wood veneers and chrome fittings, surely this is one of Aston Martin’s finest hand-crafted interiors? The final part of the equation comes in the form of fabulous engineering. 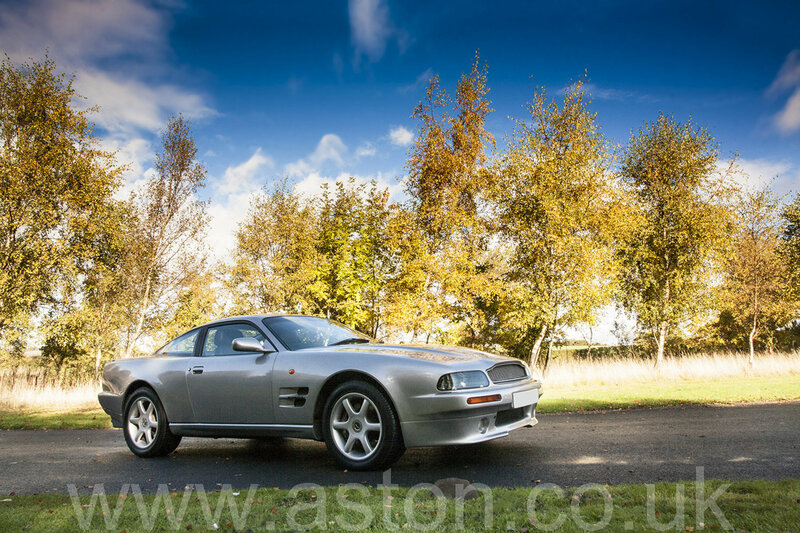 Nothing else sounds like a hand-built Aston Martin V8, just turning the key and revving the engine is enough to make the hairs on the back of your neck stand up, but of course it’s out on the open road that it all comes together. 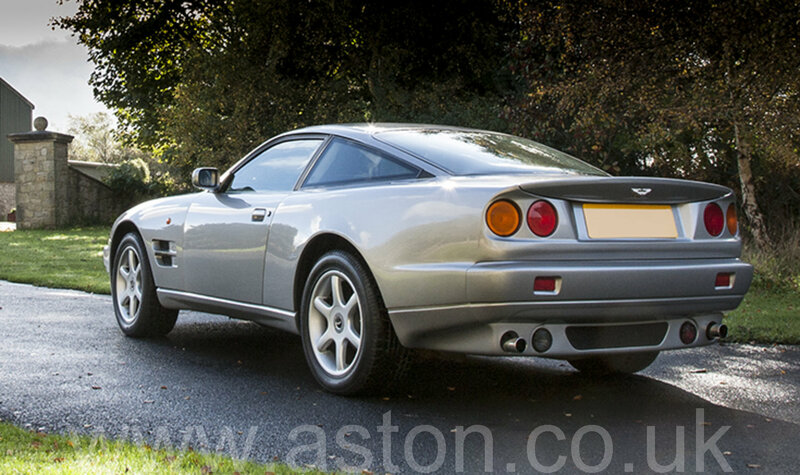 First registered in 1997, this particular car has an extensive service history and benefitted from a major refurbishment including 4 new tyres and a Pioneer pop up radio/sat nav, she has only covered a total of 35,000 miles since new and was previously sold by Aston Workshop 6 years ago to a very discerning owner. 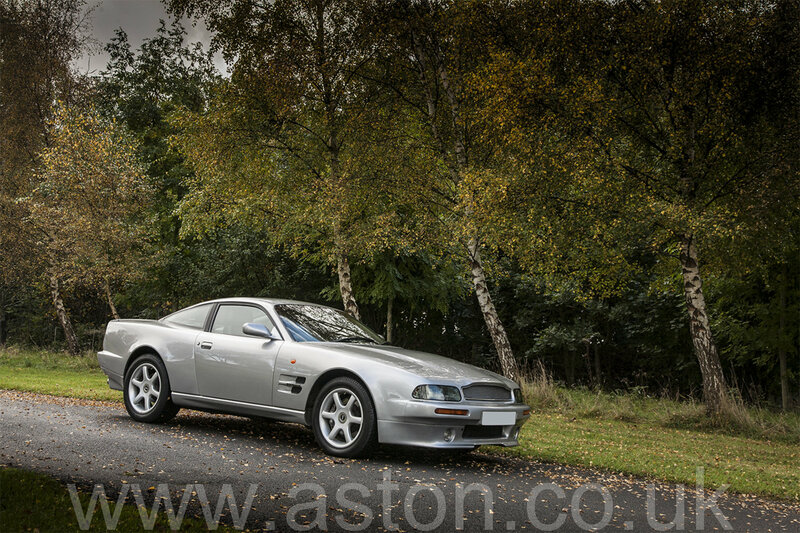 This is a very tidy and very well maintained example of the Aston Martin V8 Coupe that drives just as an Aston Martin V8 should! 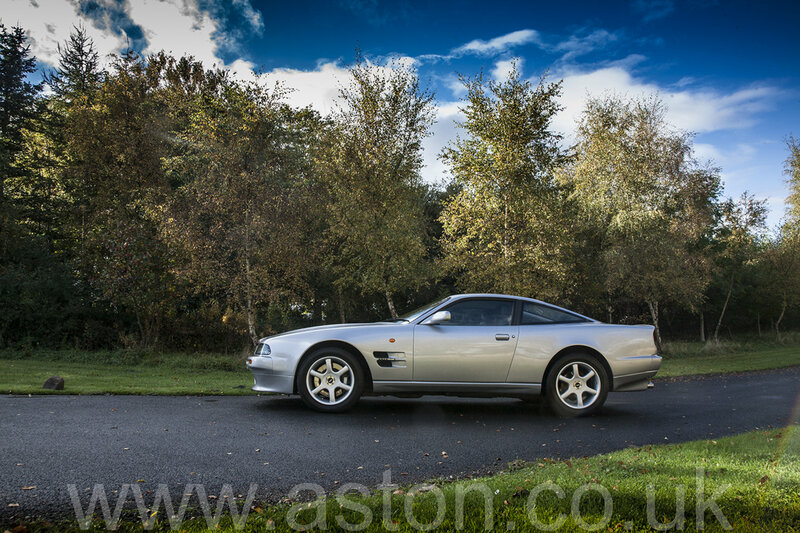 With the production of the Virage ending in 1995, and for those customers who liked the look of the new Vantage but didn't want the brutal power of the twin supercharged V550, Aston Martin began to offer the 'V8 Coupe' which was launched at the Geneva Motor Show in 1996. 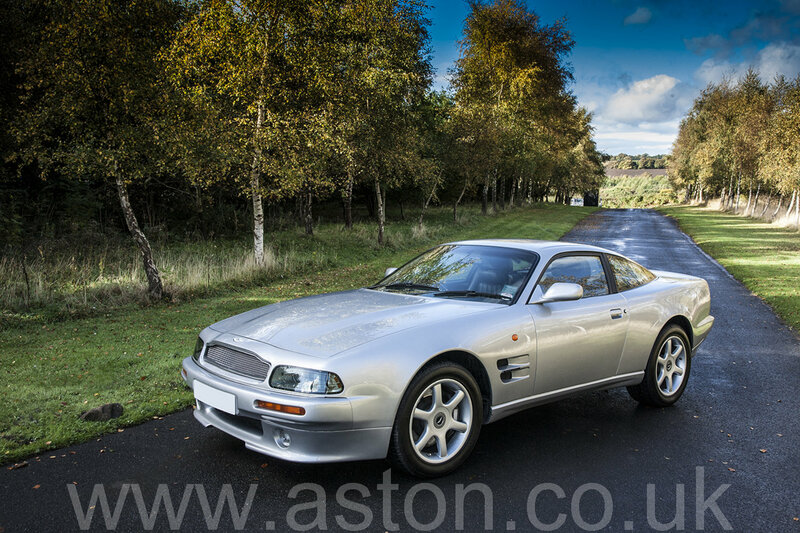 This model shared the same chassis and body as the Vantage V550, with minor revisions to wheel arches, front spoiler and grille, and had basically the same interior. 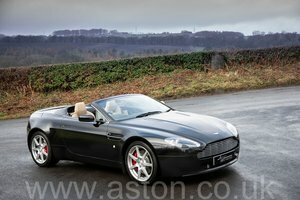 It also shared the same enhanced 5.3-litre V8 in fuel injected form, but without the twin superchargers, mated to a 4-speed Chrysler 'Torque Flite' automatic gearbox resulting in a more relaxed uncomplicated car but still an Aston Martin with 350 bhp and a 0-60 time of 5.9 seconds! 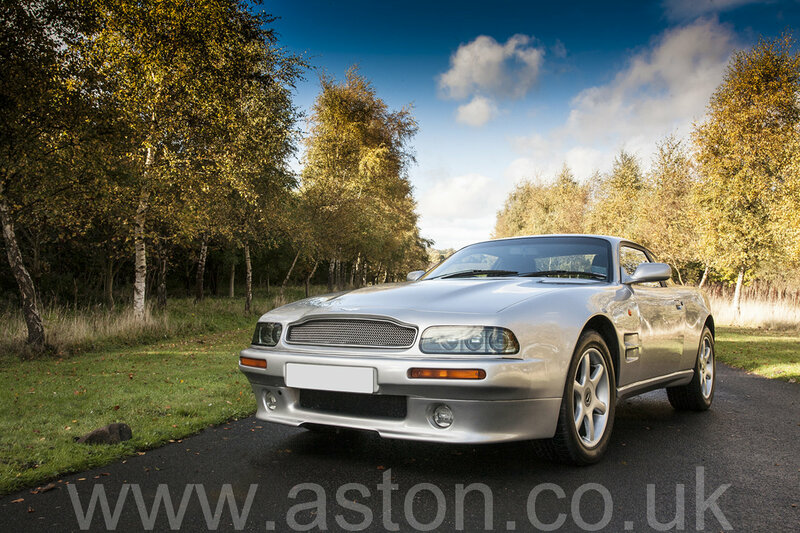 Production of the V8 Coupe ran until 1999 by which time only 101 examples had been built, one of the last truly hand-built Astons before the factory geared up for Vanquish production.